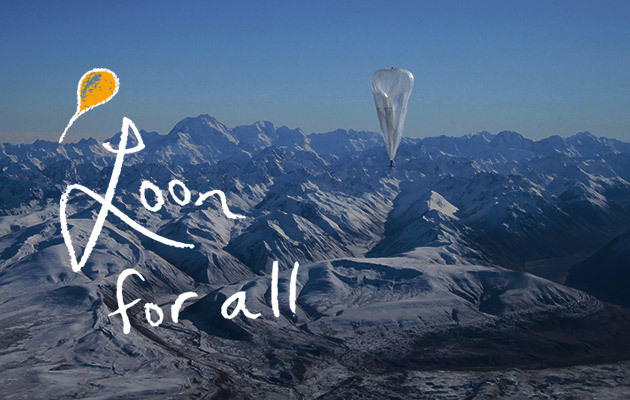 Google has revealed that it is now able to launch 20 balloons a day as part of its Google Project Loon – a project designed to bring internet access to rural and remote areas of the world. Google then started out on its mission to connect everyone to the internet, no matter what their location, and to try and help with communications in remote areas after natural disasters. They released their first Loon Balloon into the stratosphere in New Zealand last year. Since then, the project has come on leaps and bounds, with Google now stating that they are capable of releasing 20 balloons a day. They have also developed the balloon’s manufacturing process, with the balloons now lasting up to ten times longer in the stratosphere compared to last year. Another example of how much the project has improved since its start is the ability of the balloons to reach their target destination – one balloon came within 1.5 km of the target destination over a flight of 9,000 kilometres – purely through Google correctly predicting and sailing with the stratospheric winds. Google has released solar powered balloons into the stratosphere which communicate with specialised internet antennas on the ground, as well as a ground station connected to a local internet provider. The balloons travel around the world on the stratospheric winds which usually flow from west to east. The balloons communicate with each other, creating a big internet network from the ground to the stratosphere. The wireless network is able to offer users speeds which are equivalent to 3G networks. The balloons can be controlled from the ground, so that Google can try and get the balloons to land in a specific area and reuse their parts. Since the project began, the Loon balloons have travelled a huge 3 million kilometres through the stratosphere. The record of the longest lasting balloon in the sky currently stands at 130 days – a record which Google are confident they will break soon with the company releasing more, improved balloons on a daily basis. Whether they will achieve their ultimate goal of connecting everyone on the planet, remains to be seen.